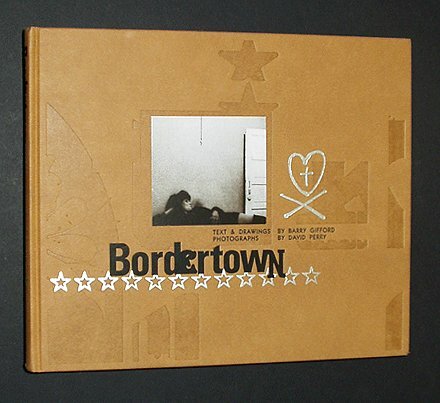 Bordertown began life as a roadtrip collaboration between photographer David Perry and writer Barry Gifford, best known for his collaboration with David Lynch. Their engimatic visions have combined here to create a dark and revealing portrait of twisted lives, lurking in a no-man's land of the border brothels, cheap hotels, and isolated markets. Bordertown is uniquely designed with a tipped in cover image on silver-debossed leatherette.